May 26, 2016 / Steve Black Jr. The Pokémon Company and Niantic, Inc., today revealed new details about their upcoming mobile game, Pokémon GO. An early user test limited to the United States begins today for Pokémon GO, while the game is still in active development. Tests are also under way in Japan, Australia, and New Zealand. Pokémon GO will allow players to find and catch more than a hundred different Pokémon as they explore the world around them. 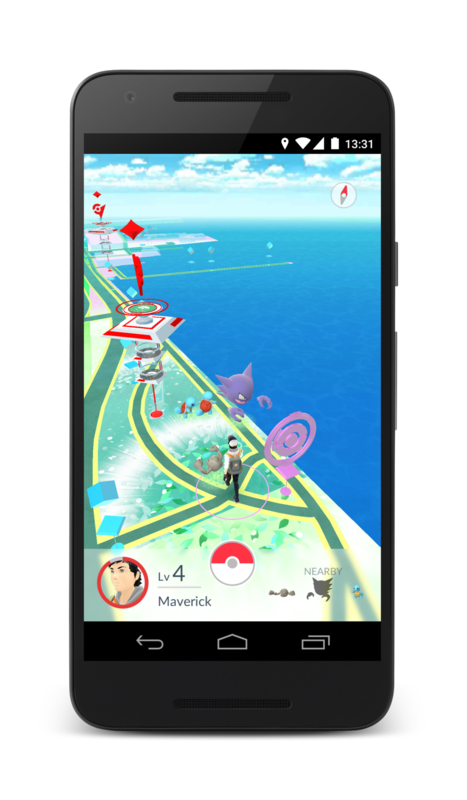 When players approach a Pokémon in the wild, their phones will notify them and give them the opportunity to engage and catch the Pokémon using the phone’s touch screen to throw a Poké Ball. Poké Balls and other special items can be found at PokéStops, which are located at interesting places such as public art installations, historical markers, and monuments. 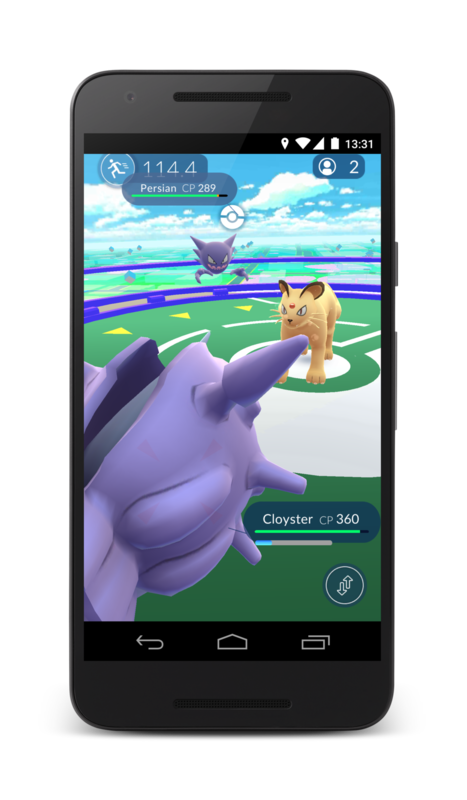 During gameplay, Pokémon GO players will be encouraged to join one of three teams and engage in Gym battles with other teams. After joining a team, players will gain the ability to assign their Pokémon to Gyms. Like PokéStops, Gyms can be found at real locations in the world. Battling is essential to any Pokémon game, and Pokémon GO is no different. 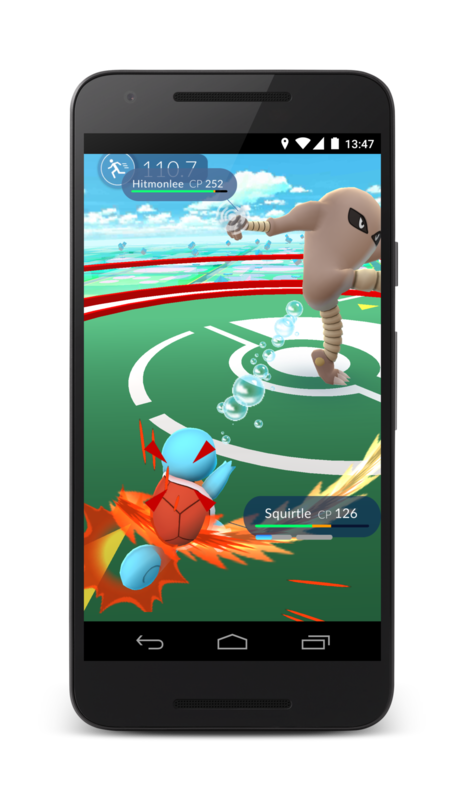 Players can battle using the Pokémon they’ve caught to gain control of a Gym. By using their own Pokémon’s attacks and dodging incoming attacks by swiping left and right on the screen, Pokémon GO players can defeat the defending Pokémon to reduce the Gym’s Prestige. Once the Gym’s Prestige reaches zero, the defending team loses control of the Gym, and the victor’s Pokémon can be assigned to defend the Gym. When a team has control of a Gym, team members can increase its Prestige and level by training their Pokémon with other defending Pokémon. As the Gym gets to a higher level, the defending team gains the ability to assign more Pokémon to defend it. They can also team up with friends and battle together at a rival Gym to take down stronger Gyms faster. In Pokémon GO, players will interact with the world through their in-game Trainer avatar. 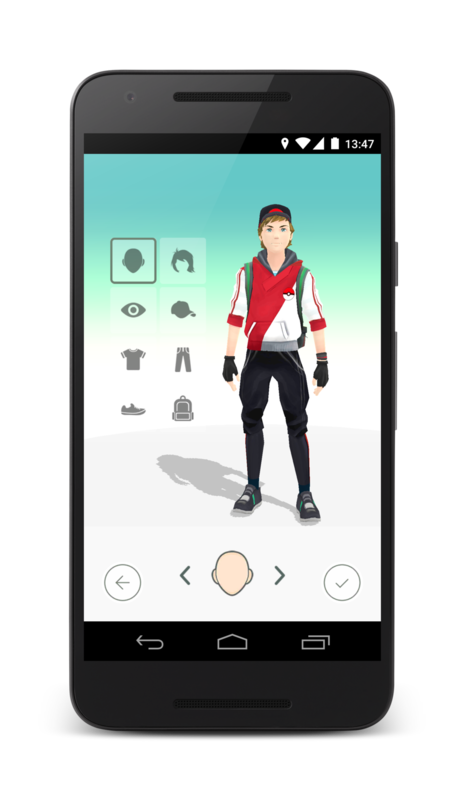 The trainer's appearance can be customized by choosing from a variety of different clothes and accessories to make their avatar stand out from the rest. 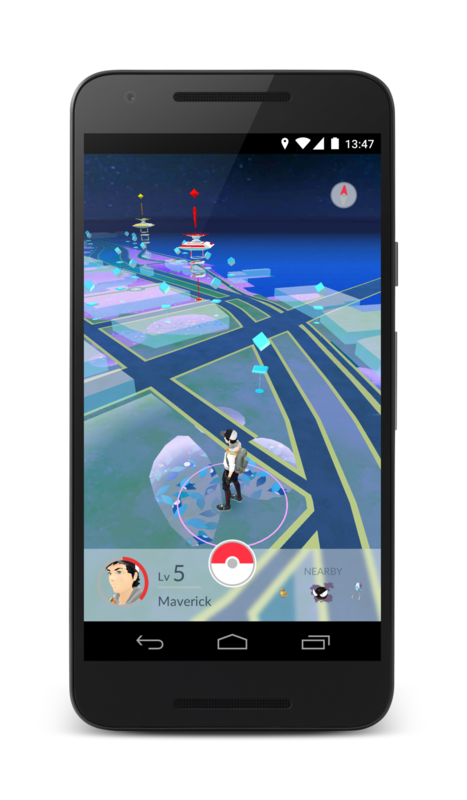 The customized Trainer image will appear on the map as the player moves around, on their profile page, as well as in Gyms under their control. A portable device called the Pokémon GO Plus will enable Pokémon GO players to enjoy the game even while they’re not looking at their smartphones. The device connects to a smartphone via Bluetooth and notifies the player about events in the game—such as the appearance of a Pokémon nearby—using an LED and vibration. 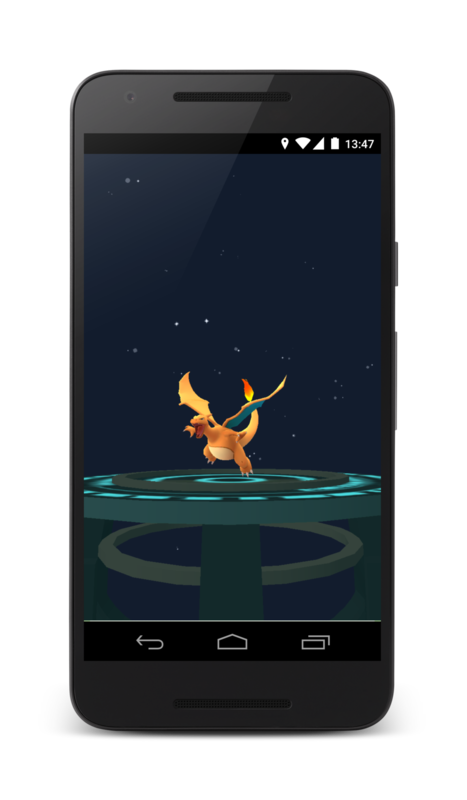 In addition, players can catch Pokémon or perform other simple actions by pressing the button on the device. Pokémon GO will be free to download on the App Store and Google Play. In-app purchases will be available for fans who would like to enhance their Pokémon GO experience. Players can purchase PokéCoins, the in-game currency of Pokémon GO. PokéCoins can be exchanged on the App Store and Google Play for power-ups and extra items. 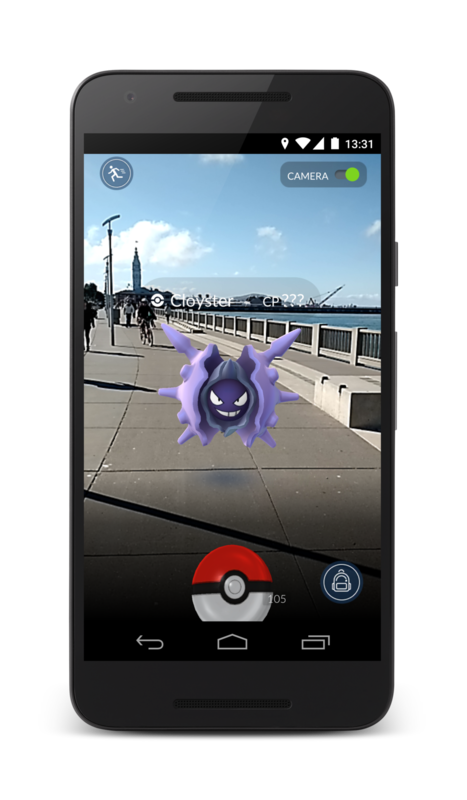 With real-life surroundings providing a backdrop for encounters with wild Pokémon, this unique Pokémon game represents the next generation of Niantic’s “Real World” gaming platform, which combines mobile location technology and Augmented Reality to create a gaming experience that motivates players to go outside and explore the world around them. Because Pokémon GO is still in active development, features, available languages, design, and overall appearance are not finalized. For more information, visit www.pokemon.com/go. For more information about the Pokémon GO U.S. field test, visit http://pokemongo.nianticlabs.com/.